A playground for the rich and famous and a favourite amongst romantic poets such as Byron and Shelley, Lake Maggiore in northern Italy is a truly stunning place to visit. With snow-capped mountains as a backdrop it is an enchanting holiday destination. Below we’ve listed our top five recommended places to visit in Lake Maggiore on a luxury holiday. 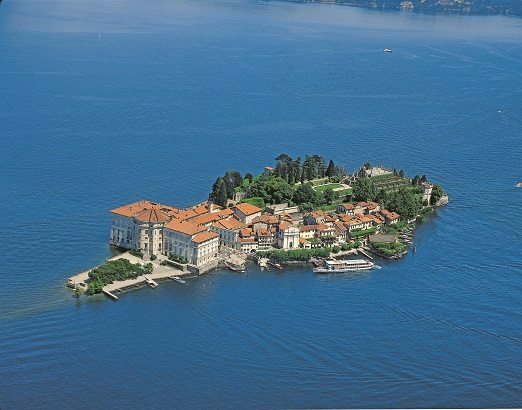 On Lake Maggiore holidays it’s definitely worth visiting the Borromean Islands. Consisting of three small islands and two islets the Islands collectively boast lush gardens, palaces and a small town. Boats that operate a hop-on/hop-off style service can be caught from the shores of Verbania or Stresa. Isola Bella was first inhabited in the 17th century and here you will find a grand baroque palace and delightful tiered gardens. On neighbouring island Isola Madre, (the biggest of the islands) there are wonderful botanical gardens to explore and a palace offering superb lake views. For lunch or dinner it is highly recommended to visit the charming village on Isola Pescatori. There are quaint cobbled streets lined with cafes and restaurants, it is a great place to stop off for nourishment on your tour of the Borromean Islands. This once fishing village also has a church which dates back to the 11th century and pretty harbour to visit and enjoy. Stresa is the lakes leading resort and is definitely one of the top place to visit in Lake Maggiore for those on holiday in the area. Stresa boasts magnificent views across the lake and over to the Borromean Islands plus there are galleries, restaurants, cafes, piazzas and an abundance of cultural and musical events year-round. The delightful lakeside promenade is simply perfect for afternoon strolls in the sun, with well-kept gardens and monuments lined all the way along. For the best views in Lake Maggiore a trip on the Mottarone Cable Car is great for those looking for the perfect photo opportunity. The cable car departs from the Lido in Stresa and the first stop gives you the chance to amble around the Alpine gardens or even walk back down to Stresa. The next and last stop is the summit of Mount Mottarone. There is a short uphill walk which will take you to a magnificent viewpoint. Take a moment to gaze across to the Alps and Po Valley and appreciate this spectacular natural landscape. 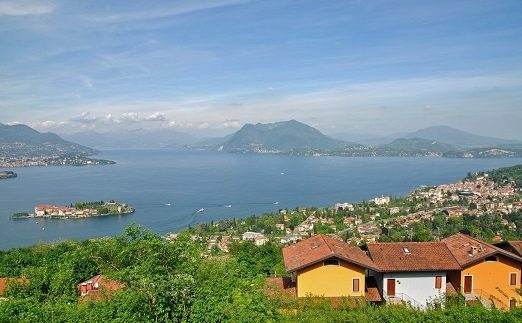 Several glistening lakes can be seen from here including Lake Maggiore, Orta, Mergozzo, Varese, Comabbio, Monate and Biandronno. On a clear day this is truly one of the top places to visit in Lake Maggiore. 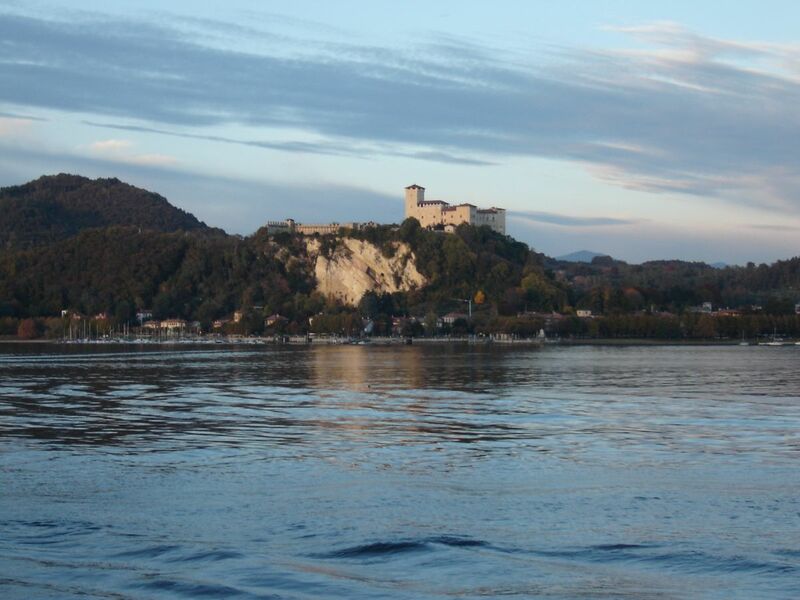 Rocca di Angera is also known as Borromeo Castle and is a hilltop castle in the town of Angera on the southern shores of Lake Maggiore. The castle boasts glorious historical halls decked with paintings, portraits and fine furniture. One of the castles main attractions is the Museum of Dolls and Toys which was founded in 1988 by Princess Bona Borromeo Arese. The museum showcases toys made from the 18th century up to the present day. After discovering the castle and the museum head out and explore the superb gardens, with the extensive flora and fauna that surround the medieval walls. 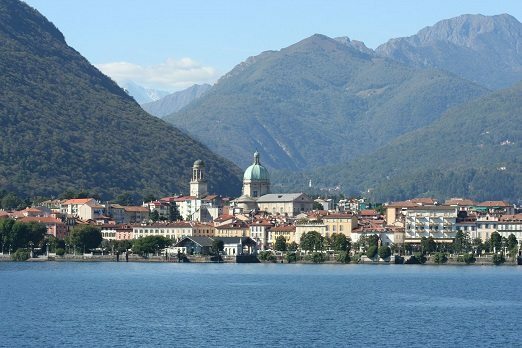 On the lakes north shore facing the resort of Stresa is the charming botanical lakeside town of Verbania. The Villa Taranto Botanical Gardens are ideal for those looking to relax and enjoy a lazy hot summer day. Although, those visiting in spring will also see the thousands of tulips planted here in full bloom – a wonderful sight. Stroll around the meandering paths, past terraced pools, linger on the tree-line avenues and view the range of flora. The public park of Villa Giulia is located on the lake shore which makes for another pleasant place to visit on your holiday. In general Lake Maggiore hotels are of high quality. 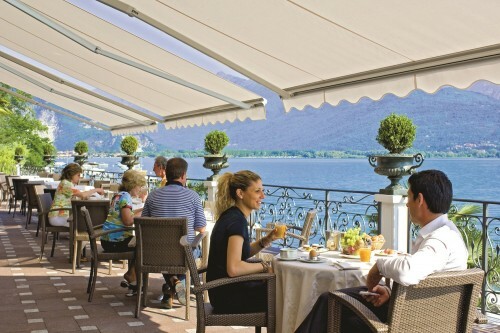 Located in Verbania the charming four-star Grand Hotel Majestic offers sophisticated accommodation and superb service. With fantastic lake views this romantic hotel has been a favourite amongst many including heads of state, artists and musicians for many years. The hotels La Beola restaurant offers exceptional cuisine year-round and there is also a small sandy beach, tennis courts and wellness centre with indoor pool to enjoy. As a member of the Small Luxury Hotels of the World this Belle Époque hotel is an excellent place to stay on your luxury holiday in Lake Maggiore. Combine an extra destination for an exciting multi-centre holiday. 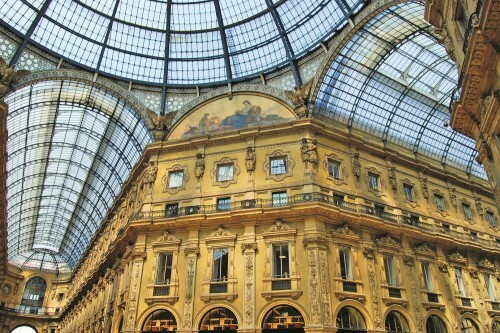 Spend 2 nights on a city break in Milan exploring the fashion capital and stay in hotel Sina De La Ville for sophisticated comfort. Travel via private transfer to the delightful resort of Baveno right on the lake shores. Home to the elite Baveno is a relaxed and fashionable town. Stay at Hotel Splendid for superb lake views and a private sandy beach.